Brand solutions for ESPN digital products. 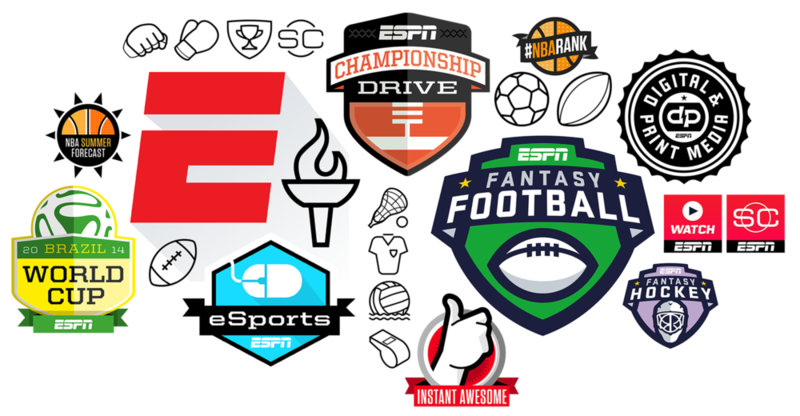 Cross platform iconography systems, native icon systems, iOS and Android app icons, content branding, and digital brand design that scales to ESPN's linear networks. 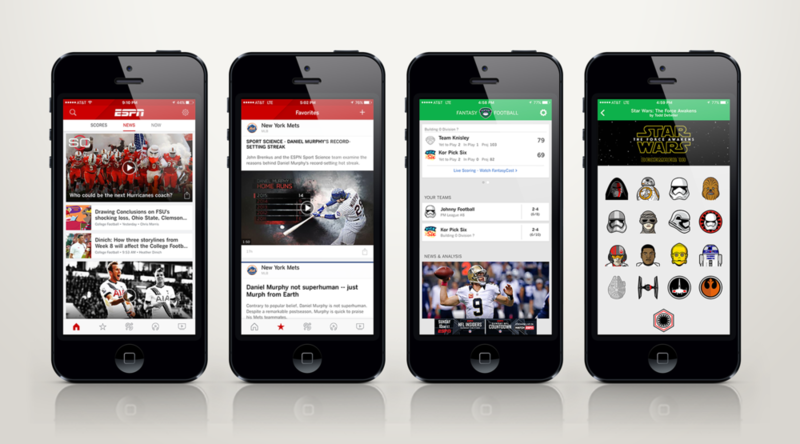 Consistent User Experience and visual design systems for ESPN native applications on mobile devices and OTT systems. The ESPN app on iOS and Android, handset and tablets, ESPN fantasy apps, Watch ESPN live and streaming application, ESPN FC soccer, ESPN Tournament Challenge, and more. Fully responsive redesign of ESPN.com. Including live game packages and automated data visualization, sport index pages and team clubhouses, responsive table solutions, premium and native ad solutions, registration, personalization, onboarding, UX, UI, style guides and tool kits, front end code direction, and an international editions model. Native content solutions. Custom design and templates for partners like Snapchat and Apple.